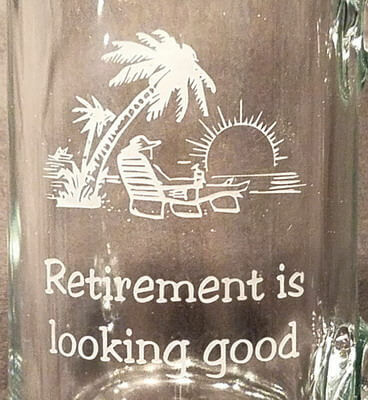 The classic personalized 15 ounces Beer Mug is the perfect choice for your home bar, engraved groomsman gift or retirement gift. It is 5.5 inches tall and has a thick base and walls and an easy to grip handle. 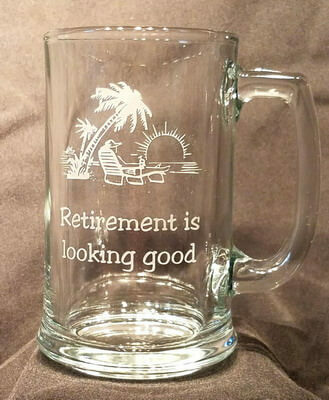 This mug is versatile, good for more than just beer: water, soda, tea or anything you like. 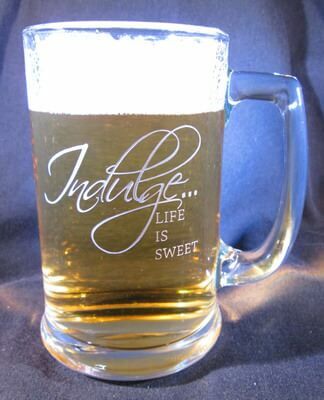 Personalization, text and/or design, on the front of the mug is free, other options are available for an additional fee. We suggest keeping your text to 4 lines of 20 characters per line, it is okay to go over, it may just be smaller to fit it on the glass.